Every time I design a bag pattern, I'm trying to solve a functional problem I've experienced. My new pattern, the #CollegiateTote, is the bag I wish I had in college: roomy, adaptable, and not and ugly backpack. I no longer have to lug around textbooks, but this tote is going to be really handy at Fall Quilt Market! 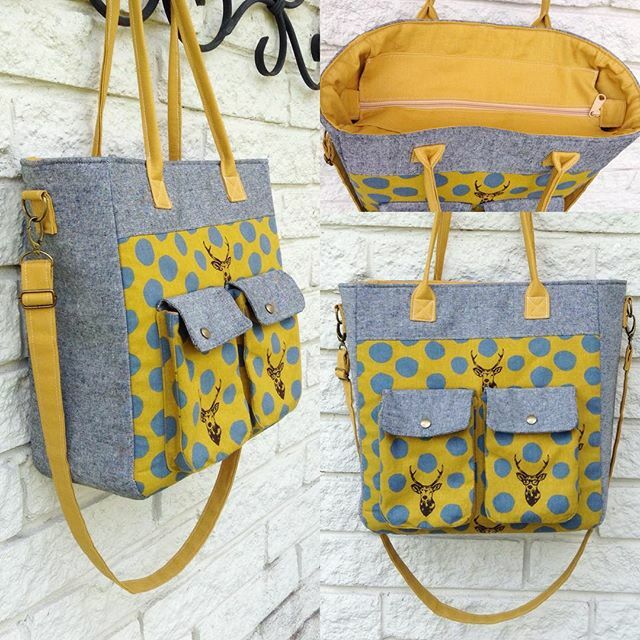 The collegiate tote measures 13" H x 12" W x 5" D so it can easily carry your books and other necessities. To help the bag keep its shape when doing heavy lifting, it features a sturdy bag base insert. The recessed zipper gusset helps keeps everything secure and dry. You wouldn't want the rain ruining that $200 textbook! The bag features easy hardware-free tote handles as well as a detachable adjustable strap for when you want a hands-free crossbody bag. My favorite feature of the Collegiate Tote is the two gusseted front pockets. I like to teach new skills with my bags, and I rarely see gusseted pockets in other patterns. They really elevate the look of any bag and they're actually quite simple to make. They're also a perfect place to highlight some cute fabric, like these Echino hipster deer. My pattern testers made some great Collegiate Totes that I want to show off! 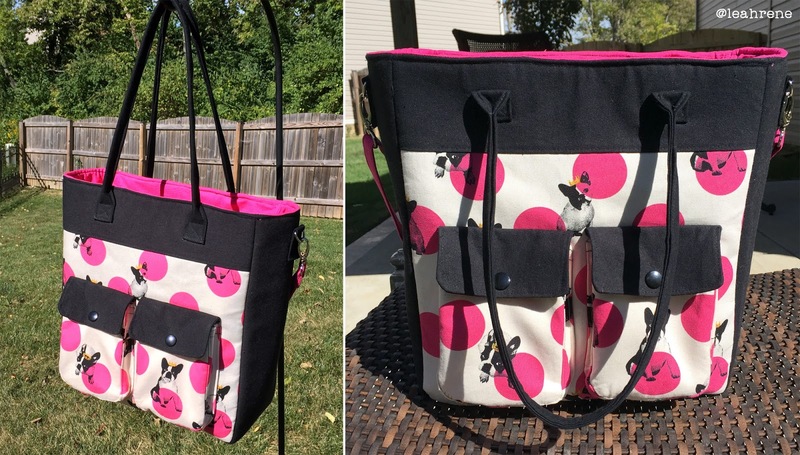 Leah used adorable Japanese fabric featuring French bull dogs for a quirky and cute tote! 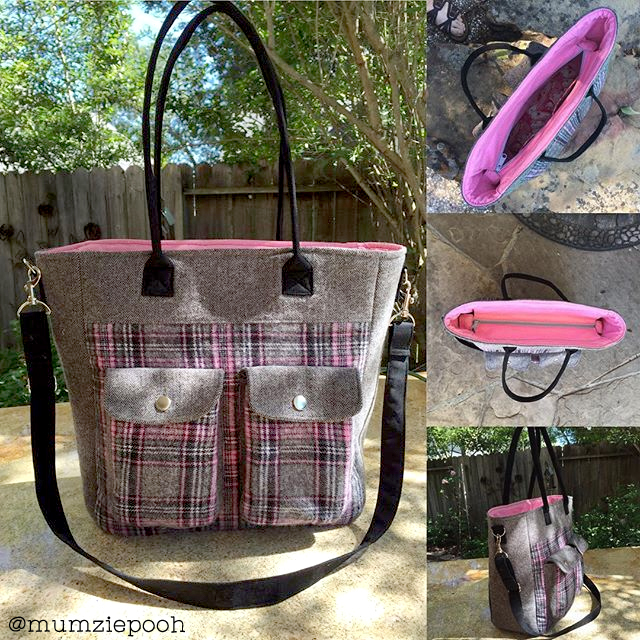 Debbie's pink plaid tote is so lumberjack chic. This is going to be great for fall! 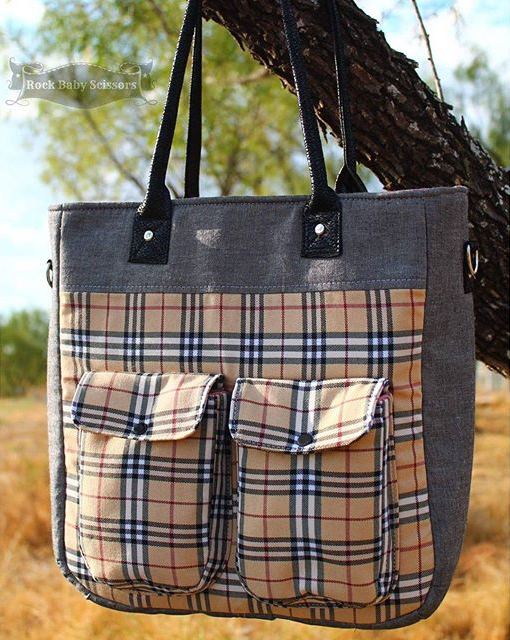 Kristy's tote screams Burberry and the rivets she added to the handles add extra class. 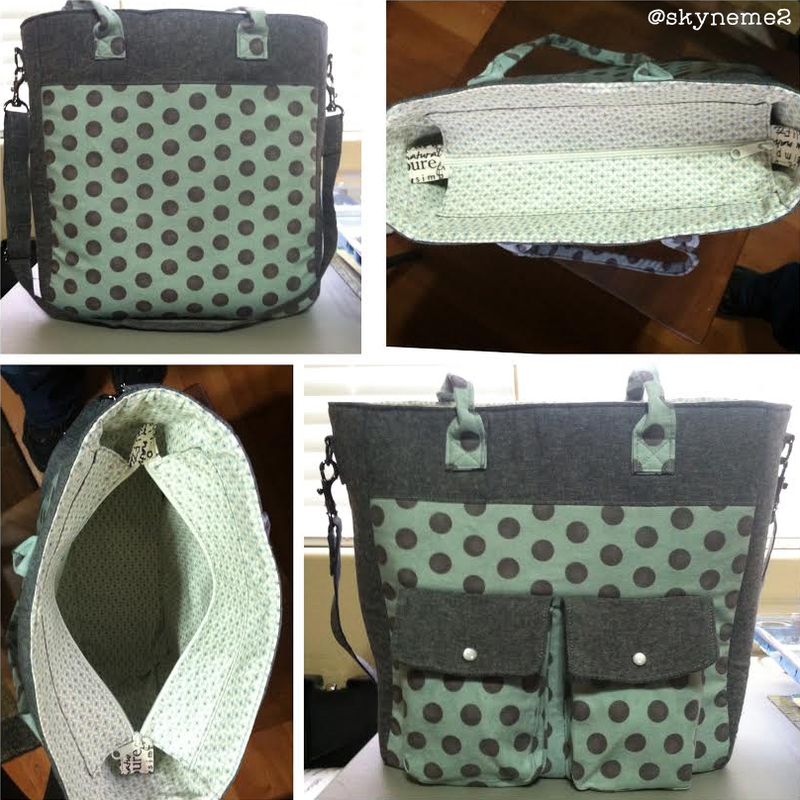 Erica's minty polka dot tote reminds me of mint chocolate ice cream. So obviously it pleases me greatly. 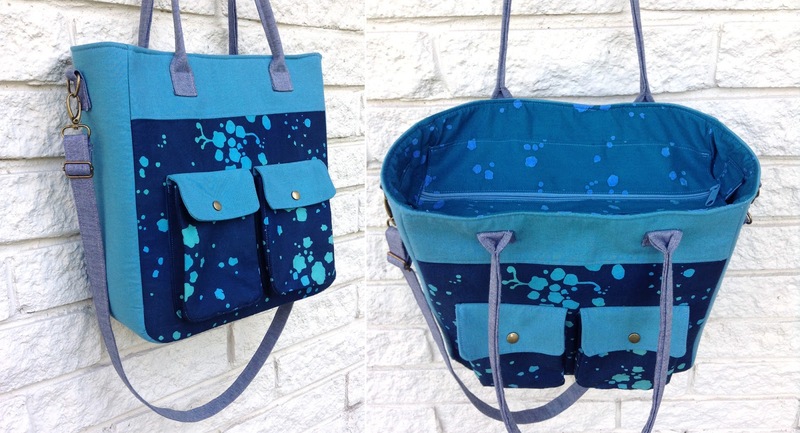 If you're going to Fall Quilt Market, track down @Giucy_Guice and check out this Collegiate Tote I made with Alison Glass's new indigo handcrafted and Andover chambray. 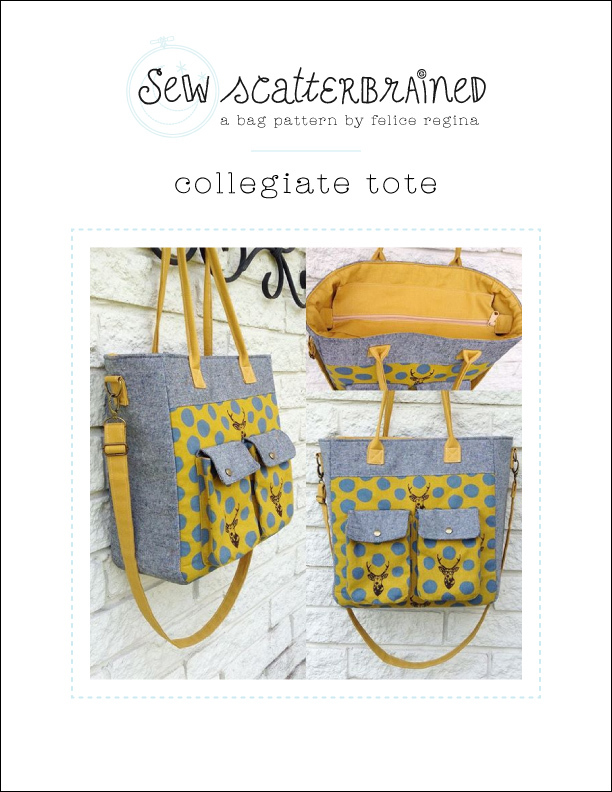 The Collegiate Tote is now available for purchase in my Craftsy shop. I can't wait to see the pretty bags you make.